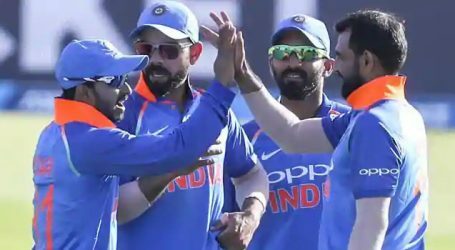 India, who have already secured the ongoing five-match series against New Zealand, will aim to continue their winning momentum when they take on the hosts in the fourth ODI at the Seddon Park, Hamilton on Thursday. With the Virat Kohli on rest Rohit Sharma will lead the Men in Blue in his 200th ODI. Meanwhile, Mahendra Singh Dhoni will once again miss out as he has failed to recover fully from his hamstring injury. Shubman Gill makes his debut, while Khaleel Ahmed is in for Mohammed Shami. Rohit Sharma and Shikhar Dhawan opens the batting for India. Matt Henry to begin proceedings of bowling. Boult strikes, Shikhar Dhawan got out at 21/1 in the 6th over . Shubman Gill on debut now joins Rohit Sharma who is playing his 200th ODI. Skipper Rohit departs for off 23 balls, India lost second wicket. 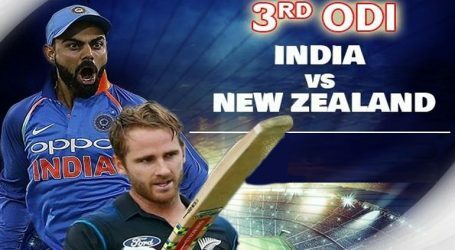 Rayudu tries to drive off Colin De Grandhomme and ends up giving a simple catch to Guptill. Rayudu goes for a duck and India are 33/3, In the same over Karthik goes for 0 too. India 33/4. Boult bags his third, Gill departs for 9. India are 33/5 in 12 overs. Boult has his fourth as Jadhav is LBW for 1. India are sinking further with 35/6. 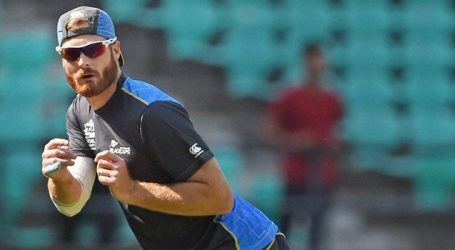 Grandhomme castles Bhuvneshwar for 1. India are 40/7 now with Pandya and Kuldeep Yadav on crease now. 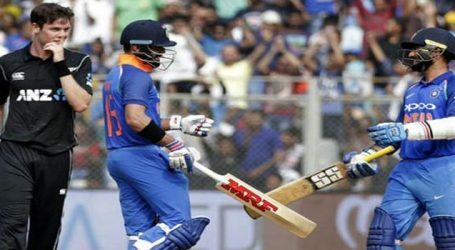 After 18 overs India reached 52/7 also brings up the fifty for India. Boult has five as Pandya departs for 16. India are 55/8. Kuldeep plays a rash sweep off Astle and ends up giving a simple catch to Grandhomme in the deep. India are 80/9. Chahal is fighting it out in the middle as he sweeps Astle for a four. He ends the over with a single to take India to 87/9 after 30 overs.